Even in today’s world of high rise skyscrapers, the Roman Colosseum remains hugely impressive. While almost two thirds of the original building had been destroyed by earthquakes, fires, or plundered for its once glistening stone by Roman Popes and aristocrats, it still stands as a glorious but troubling monument to Roman imperial power and cruelty. Inside the Roman Colosseum, and on top of the subterranean ranks of arches and columns, Romans for centuries cold-bloodedly killed thousands of people. these would have included Christian martyrs, anyone who they regarded as a criminal, and their coveted professional fighters - the gladiators. 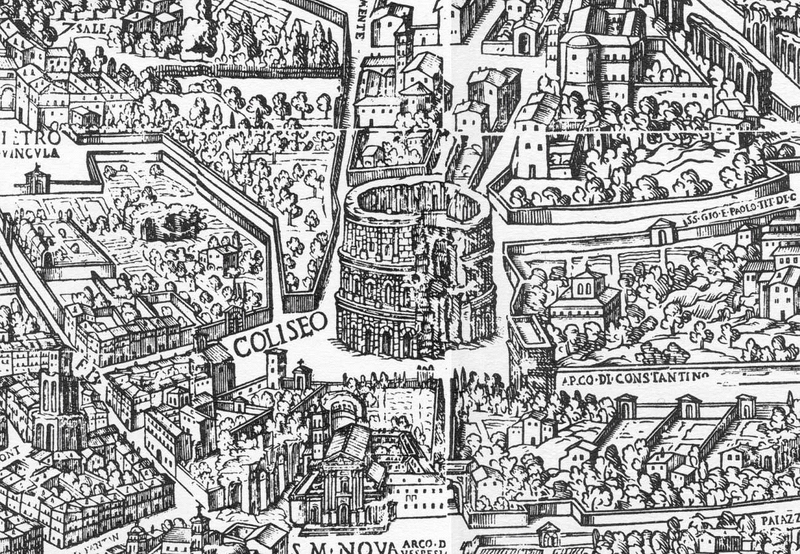 The Roman Colosseum was born in the aftermath of Nero's extravagance and the rebellion by the Jews in Palestine against Roman rule. Nero, after the great fire at Rome in AD 64, had built a huge pleasure palace for himself (the Golden House) right in the centre of the city. In AD 68, faced with military uprisings, he committed suicide, and the empire was engulfed in civil wars. The eventual winner of these civil wars was Vespasian (emperor AD 69-79), and it was his idea to shore up his shaky regime by building an amphitheatre - or pleasure palace for the people - out of the booty from the Jewish War - on the site of the lake in the gardens of Nero's palace. Known then as the Vespasian amphitheatre, the Colosseum was a grand political gesture. Suitably for that great city, it was - and eventually remained - the largest amphitheatre in the whole of the Roman Empire. 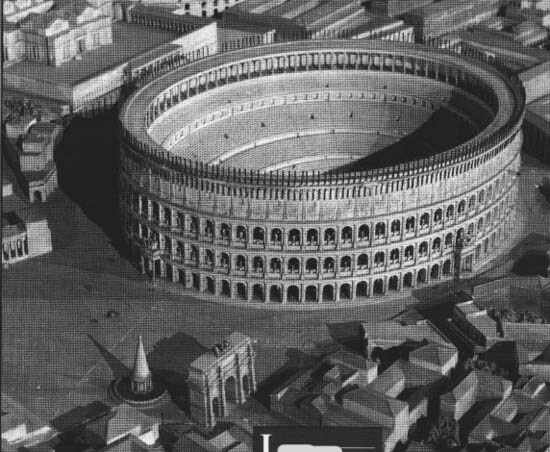 In its day, the Colosseum was capable of seating 50,000 spectators which, besides gladiatorial contests, was also used for such public spectacles as mock sea battles, animal hunts, and re-enactments of famous battles, and dramas based on Classical mythology. The building ceased to be used for entertainment in the early medieval era, but it was later reused for such purposes as housing, workshops, quarters for a religious order, a fortress, a quarry, and rather surprisingly, a Christian shrine. 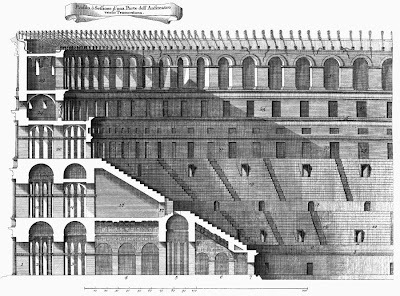 Indeed, it was very possible that the Colosseum would have disappeared altogether were it not for the amphitheatres reputation as a Christian sacred ground. Even so, the cathedrals of St Peter and St John Lateran, the Palazzo Venezia and the Tiber river defences all exploited the Colosseum as a convenient quarry. Eventually there were well over 250 amphitheatres in the Roman empire - so it is no surprise that the amphitheatre and its associated shows are still the quintessential symbols of Roman culture.